YouTuber Jackie Aina has a huge following on social media, thanks to her work representing minorities in the beauty industry. 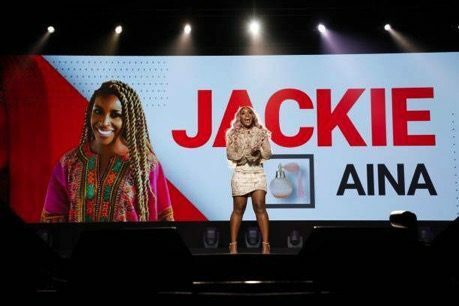 Jackie Aina, a popular beauty YouTuber, is stepping up in the world and emerging as an important voice in the black community. Using her platforms of over 2 million subscribers on YouTube, 829,000 followers on Instagram and 280,000 followers on Twitter, Aina regularly distributes content calling out brands for their issues with inclusivity and even other content creators for their intolerance. One example is her Twitter beef with Jeffree Star, another YouTuber, who was caught on camera and social media saying some pretty ugly things about black women. In January, Aina was the first ever recipient of a brand new distinction called the YouTuber of the Year Award at the 2018 NAACP Image Awards for her dedication to bringing equality and consideration for people of color, both online and behind the scenes in the beauty industry. Through her hilarious meme usage and creative videos on YouTube outlining and explaining some of the issues that people of color face every day when trying to do simple things like color matching foundation, Aina has garnered a crowd that appreciates her dedication to the cause. "Darker skinned people don't buy as much in cosmetics"